At La Belle Fleur Design, we have a wealth of experience creating the most beautiful wedding bouquets for brides and bridesmaids, boutonnieres for grooms and groomsmen, flower baskets and hair wreaths for flower girls and centerpieces for the reception or rehearsal dinner. Each floral design is hand-crafted by our creative floral designers; customized to match and complement your wedding. 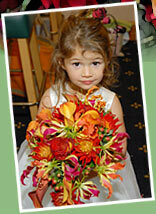 We are prepared to enhance your Sonoma County, Wine Country wedding or event. 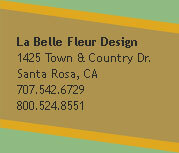 As your Santa Rosa Teleflora florist, we can handle your everyday floral needs as well; birthdays, anniversaries, hospital, funeral and holiday flowers are all available from La Belle Fleur Design. Same-day delivery is available with orders placed before noon. 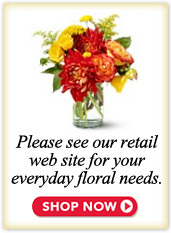 Our years of experience mean that we can handle all of your floral needs.